The Catamounts are off to their best start in program history, posting a .722 winning percentage through nine games. Still, this’ll be by far their toughest match-up since a road contest against North Dakota back on Oct. 4, which they won, 3-1. 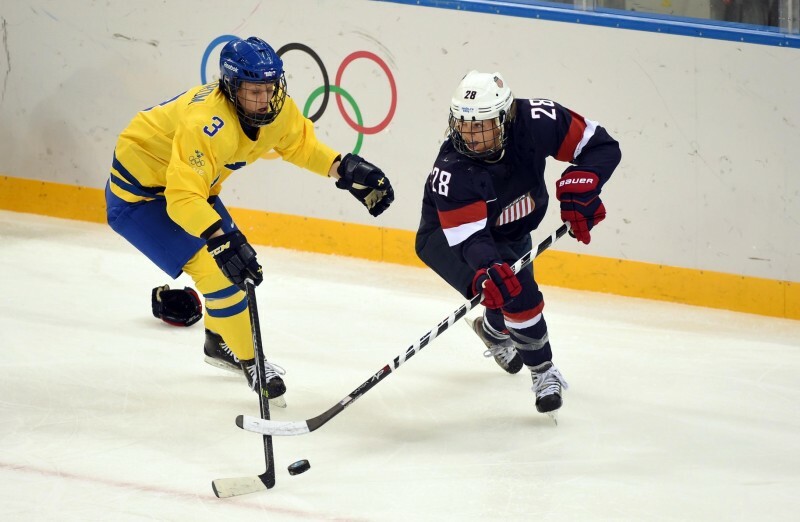 With the 4 Nations Cup not concluding until Saturday, Vermont will very likely be without top forward Amanda Pelkey, who’s competing with Team USA. The Catamounts still have Dayna Colang and Brittany Zuback, who are both scoring at a point-per-game clip and are extremely capable forwards. Madison Litchfield needs to be sound in net for Vermont to have a shot at an upset bid. Sophomore forward Bridget Baker has also impressed, and with the BC defense likely to prioritize Colang and Zuback, a good game from her could go a long way. Boston College has five different players competing with the U.S. at the 4 Nations Cup: forwards Alex Carpenter, Haley Skarupa, and Dana Trivigno, and defensemen Emily Pfalzer and Megan Keller. It’s a testament to the strength of their offense that they’ll still boast a solid top-six, with Emily Field, Andie Anastos, Kate Leary, Kenzie Kent, and Kristyn Capizzano. They should be set, too, with Lexi Bender leading the way on the back-end, though the Eagles will likely need to see a bit more out of rookies Toni Ann Miano and Kali Flanagan in the absence of Pfalzer and Keller. This is the first time in history that Boston College has ever earned a No. 1 ranking, and it’s not undeserved; the Eagles are playing extremely well in all areas and will look to dominate once again this weekend. Northeastern, now 2-4-3, is still scrambling to find solid ground, and has two huge Hockey East tilts coming up this week against Boston College and Boston University. The Huskies will be without Kendall Coyne and Paige Savage for the game against the Eagles, and being without their two primary offensive weapons doesn’t exactly bode well for them. Coyne and Savage will be back to play BU on Tuesday afternoon, but Northeastern already lost to the Terriers a couple of weeks ago, 3-2. The Huskies have not gotten the results they’ve been looking for this year, but it’s not because they don’t have the right pieces in place; it’s getting those pieces to fit together that seems to be the problem so far. Aside from playing Northeastern, Boston University has another interesting match-up this weekend against Yale. The Bulldogs were shut out by St. Lawrence last week, 3-0, but then hung with Clarkson for the entirety of the game in a 2-1 loss. Goaltender Jaimie Leonoff gives them a chance to win every night, but Yale also houses some unexpected offensive depth. Sophomore Phoebe Staenz has yet to really break through this season, but she’s bound to get going eventually. Besides Staenz, the Bulldogs have a number of players who can help generate offense, including Krista Yip-Chuck, Eden Murray, Stephanie Mock, and Janelle Ferrara. They’ll need a good performance out of their entire top-nine if they hope to match the Terriers’ top lines and outscore them. There isn’t too much action going on this week, with a lot of teams off because of the 4 Nations Cup, currently in progress. On Wednesday night, Canada defeated the United States, 3-2, in the biggest game of the tournament so far. It’s likely the two teams will meet again in Saturday’s final, though Finland certainly hopes to be in the mix after finishing second last year. Dani Cameranesi is one player who’s really stood out in the first two games for the U.S., and same goes for Canada’s Jamie Lee Rattray. With so many new faces on each roster, we’re getting a good look at each country’s future well in advance of the 2018 Winter Olympics, so the tournament is absolutely worth watching.